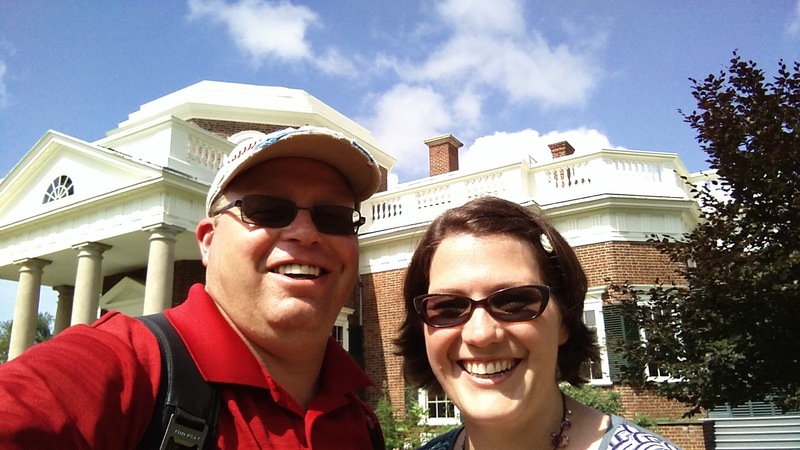 Jayme and I rented a car this morning and headed south on a road trip to visit Monticello. 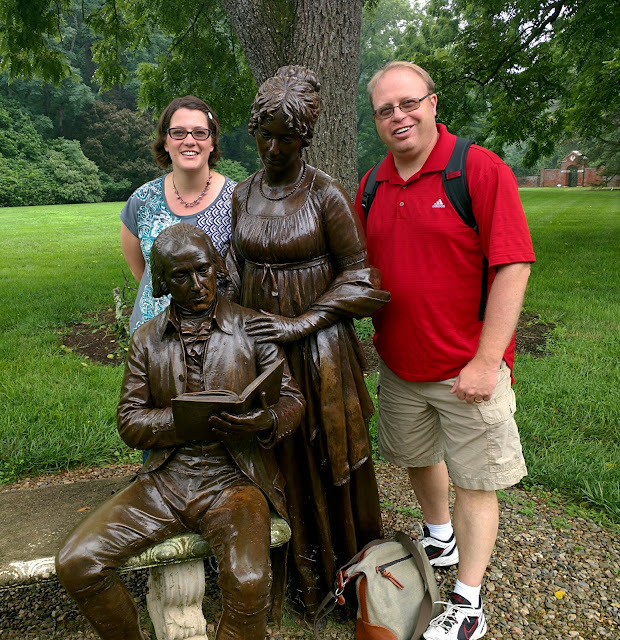 I had participated in a Liberty Today workshop with the Monticello education staff back in 2012 and knew that someday I wanted to be able to share the experience of Jefferson's mountain with Jayme. 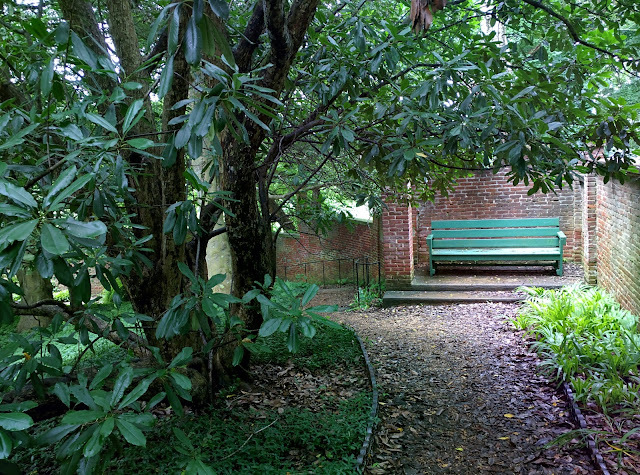 Jayme loves gardens and has read about Jefferson's gardens for the past several years. 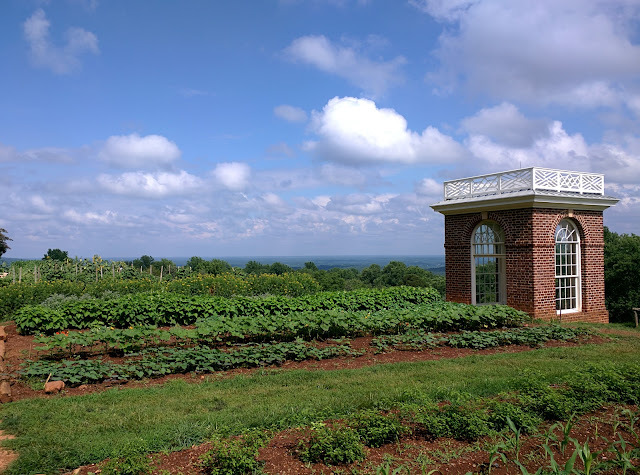 Visiting Monticello would also allow me to compare slavery burials at Monticello with that of Mount Vernon, one of the areas of focus for the lesson plan I am creating as a Mount Vernon Life Guard Fellow. We decided to take the "road less traveled" and took the more scenic of the routes recommended by Google Maps. It would take almost a half hour more but would lead us to Charlottesville via highway instead of interstate. As we headed down Constitution Highway - that is the actual name of the highway - we realized it would take us right by Montpelier. Montpelier is the home of James Madison, Father of the Constitution and our 4th President. We weren't on a specific schedule so we decided to stop for a tour of the home and the gardens. Madison's gardens were also a focus in the book Founding Gardeners. 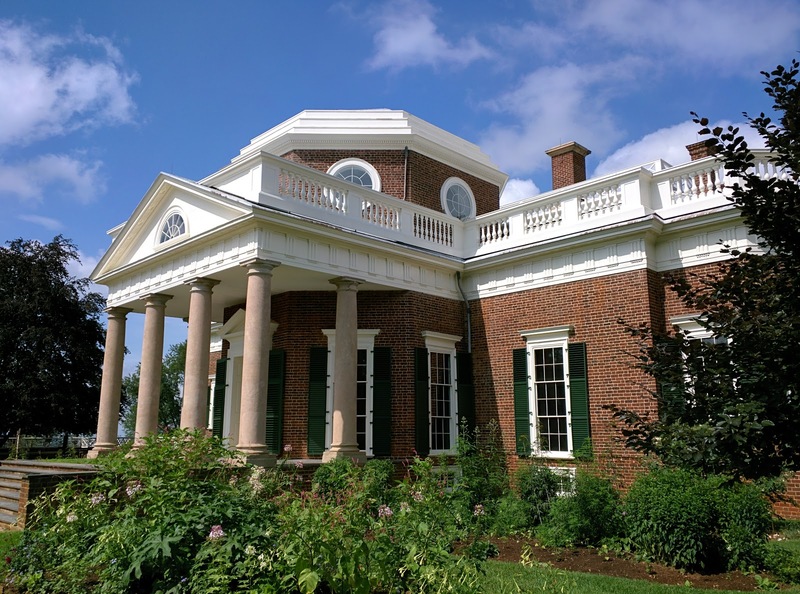 Montpelier is a much different founding father historic home when compared to Mount Vernon and Monticello. 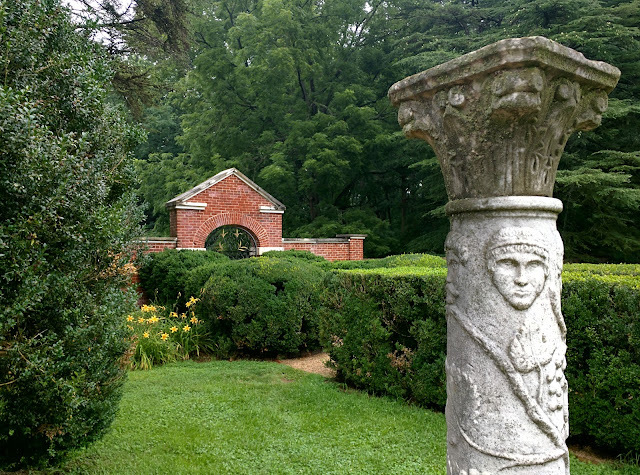 Montpelier was later owned and lived in by the DuPont family until the National Historic Trust took over in 1984. The DuPont family had made modern improvements to the home and added to the structure. The National Historic Trust has been renovating and restoring the home to it's form in Madison's retirement. Thus, the home is historic and yet has a "new feel" to it when you tour. We both enjoyed the tour of the home, which lasted roughly an hour. The last time I was at Montpelier in 2012 they had restored the rooms on the first floor but had not yet restored the rooms upstairs. Madison's room upstairs in which he gathered books and read prior to attending the Constitutional Convention was probably my favorite room. You could argue that our Constitution was literally born in that room. 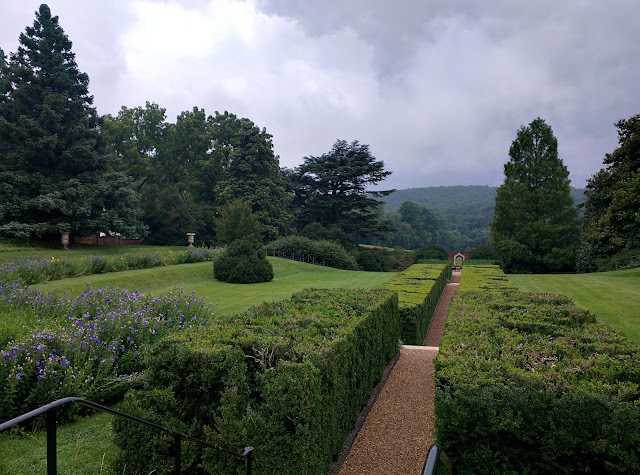 We didn't have a ton of time after the house tour because we did want to reach Monticello by mid afternoon but we did want to walk through gardens since we had read about it. It has rained a little in the morning but by the time we walked through the garden it was over. 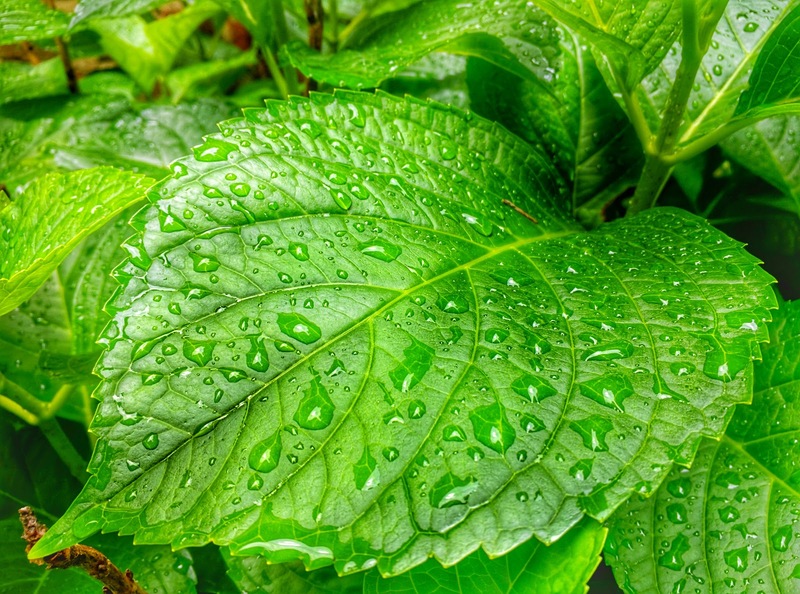 I was actually a neat time to walk through his garden because there was a light haze and rain droplets on the leaves. The garden looked more like a traditional European garden and Jayme found a couple of paths that appeared to be almost hidden and let back around the side of the garden and led us back to the front gates. After a quick stop at the gift shop we were back on the road and on our way to Monticello. We reached the mountain at around 2:00 and ate a quick lunch in the gift shop. We both ate lunch with items that included vegetables from the gardens onsite at Monticello. Jayme and I both thought this was pretty cool. Our house tour was set for 4:30 so we had a little time to look around the outside of the house and the gardens before our tour. Our guide for the tour was a friend, Linnea Grimm - Director of Education and Visitor Programs. I met Linnea back in 2012 when I participated in the Liberty Today workshop. She gave an excellent tour of Monticello and later gave us a tour of the second floor and the dome room. Jayme and I both thought the house had so much more room, especially for bedrooms, than it appears from the outside. It was time to leave the mountain but we were coming back tomorrow. 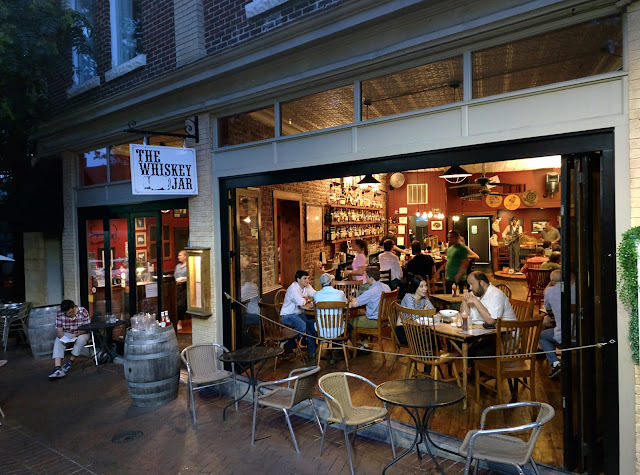 We went into Charlottesville to get set up for the night and went down to the Historic Downtown Mall and ate at a great farm to market place called The Whiskey Jar. Many of the stores in the downtown area were closed but we bought a historic map at Blue Whale Books and got some frozen yogurt before calling it a day. In the morning we were headed back up the mountain to see Jefferson's gardens and a trip to Montalto to see more friends from the Monticello education staff.